Doris Mae Beausoleil knows the importance of having somewhere to live. Before retiring in 2006, she worked for many years as a public trust and federal agency housing specialist. 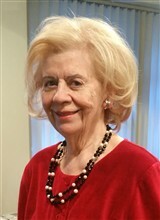 She had been with the New York/New Jersey Department of Housing and Urban Development since the 1970s. Throughout her time at that institution, she worked in a number of positions, but always worked to the benefit of the people seeking its services. She has been the women’s program coordinator, an equal opportunity compliance specialist and branch chief in addition to the position she served under before retiring. Prior to working with the New York/New Jersey Department of Housing and Urban Development, Ms. Beausoleil worked in housing for different organizations, including the Edwin Gould Foundation, the National Committee Against Discrimination Housing and the New York government. She earned a Bachelor of Arts in sociology and psychology from Goddard College before receiving a Master of Arts in human relations from New York University.